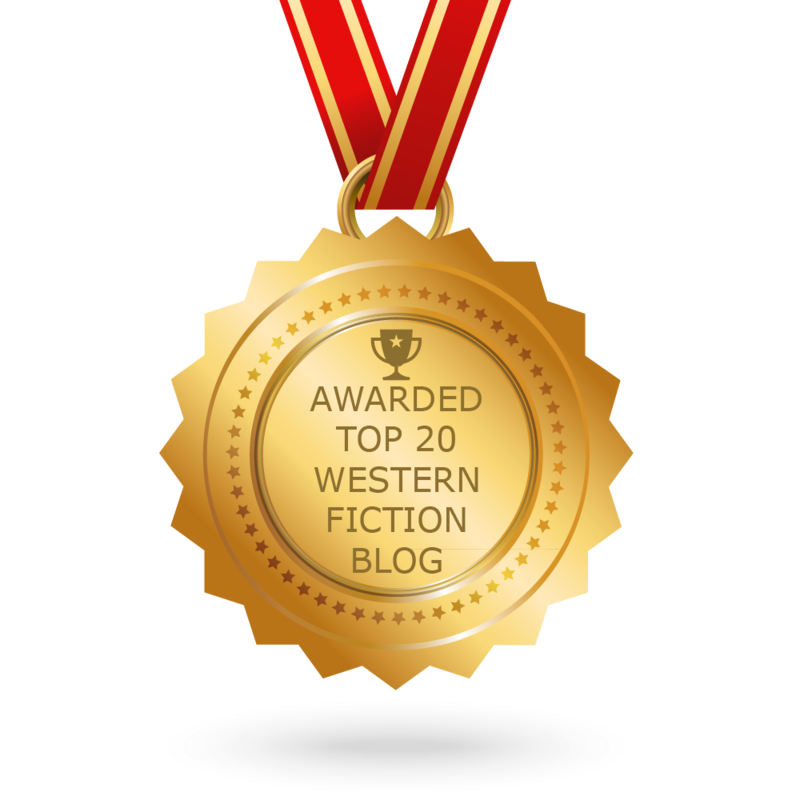 Western Fictioneers is a professional organization for authors who produce fiction about the West (bet you didn’t see that coming.) It is not affiliated with Western Writers of America, Inc., but neither are the two mutually exclusive. Many of us are members of both groups, in fact. Why, then, the need for two different writers’ organizations, both centering on the American West? The answer to that question lies in our focus, I believe. WWA covers a lot of different kinds of writing: popular history (the kind you find in such excellent magazines as True West and Wild West), academic history (the denser, analytical stuff one finds in equally excellent journals such as Western Historical Quarterly), songwriting, poetry, children’s books, screenplays, teleplays- including documentaries, biographies, and, of course, fiction. Even under the umbrella of Western fiction, though, there is a lot of variety. WWA got its start, in 1953, mainly promoting the types of traditional Western stories one could see regularly at the time on the silver screen. Eventually, though, WWA authors were just as likely to be producing other Western or frontier-themed fiction: stories set in 1770s North Carolina, or 1740s New York State; stories about wildcatters in the oil fields of 1920s Oklahoma; cowboys in the 1940s; modern-day Cherokee law officers solving mysteries; truck stop waitresses looking for love in 1970s Montana. All these forms, in my opinion, are equally valid and equally entertaining. In recent years, though, those of us who also write the good old-fashioned traditional Western stories that were once the backbone of our genre have begun to fear that our kind of tale –still loved not only by us but by our readers –was in danger of being squeezed so far to the margin that it might fall right off the edge. So we formed this group, in order to promote not just our work but the traditional Western in general, in a more focused way than broader groups such as WWA are able to do. But there’s something special about Western stories. They are one of our primary forms of national myth, for one thing; like England’s Robin Hood and King Arthur stories, Japanese samurai tales, or Scandinavian countries’ Viking sagas. They also provide an ideal setting for generating drama, the backbone of good storytelling. 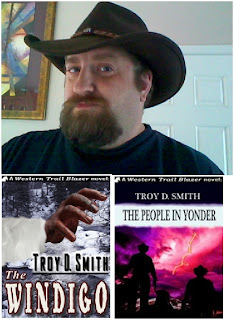 For a truly stirring paean to the Western, see Jory Sherman’s entry that has appeared on this very blog site- I couldn’t possibly improve on it or add to it. Obviously, the need to get one’s facts straight is even more important when writing actual history. This, however, is where the difference between the two, and my diverging approaches to them, comes in. You see, in historical fiction the facts are important, but they are not the most important. First and foremost, you must have a good story. So, then, whereas an author does not want to make the kind of careless historical errors I described above, he or she may consciously decide to –well, make stuff up. Say you were writing a novel about Johnny Ringo. You might choose to consolidate 4 or 5 of Johnny’s real-life friends into one character, just to make the story easier to follow. You might combine several similar shootouts into one scene. Perhaps there is a legend about him that historians have demonstrated is probably untrue –but it’s a fun legend, and you want to use it anyhow. You are not married to the facts. I’ll give you a couple of cinematic examples. The movies Tombstone and Wyatt Earp came out around the same time, and covered the same subject. Wyatt Earp was more historically accurate, and more detailed. Tombstone, however, was a better movie –because it told a better story. It is also an author’s prerogative to intentionally change some historical facts in order to make their story more effective. Larry McMurtry tends to do this. If you are familiar with Texas history, and read McMurtry, he will mess with your mind. If you read Dead Man’s Walk and think “a-ha! Bigfoot Wallace! I know about him, and I know what becomes of him,” or do the same when you encounter Judge Roy Bean in Streets of Laredo, you will be lulled into a false sense of security. Then, when those characters meet fates you did not expect, the scenes will be shocking and powerful –and that was the author’s intention. I have done a lot of research about the Civil War guerrilla Champ Ferguson. This resulted in a novel and a history article in Civil War Times Illustrated. In the article, Troy Smith the historian was obliged to tell exactly what really happened, as best it can be reconstructed (a word at odds with old Champ.) 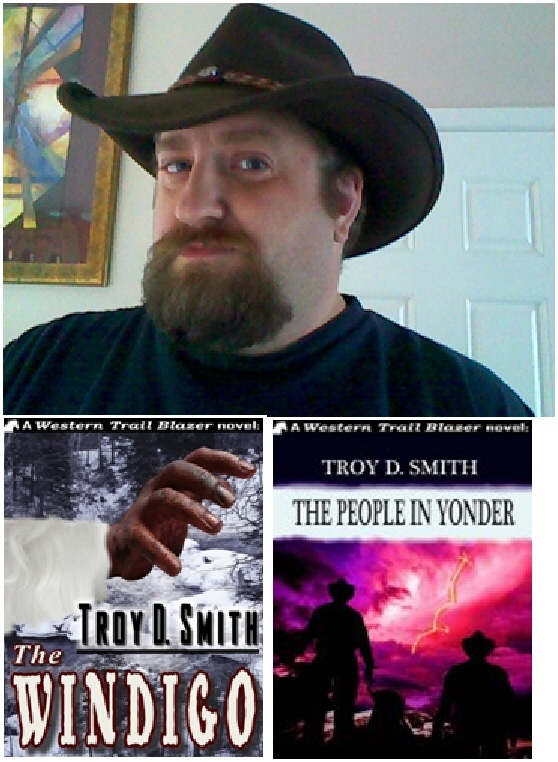 But in the book, Troy Smith the novelist had two goals: 1) tell a good story, and 2) do my best to show what it was like, and how it felt, to be in war-torn Civil War Tennessee. I could do both these things better by tweaking the facts. Very often, fiction allows a writer to tell a story that is ultimately more true than nonfiction could be. The facts are tools to be used by the artist, whose goal is to strike a chord in the reader’s heart that rings true whether they have experienced the particular circumstances being described or not. Or, to quote from The Man Who Shot Liberty Valance, when the facts become legend, print the legend. My Western steampunk short story, "Scourge of the Spoils," is due for release on November 2, 2010, in the DAW Books anthology, Steampunk'd, edited by Jean Rabe and Martin H. Greenberg (softcover, DAW Books, 320 pages). Fellow WF member Robert Vardeman also has a story in this anthology. The stories in this all-original collection explore alternate timelines and have been set all over the world, running the gamut from Western to science fiction to mystery to horror to a melding of these genres. My selection is in most ways a traditional Western tale, save for a few steampunky elements. Wait ... what's steampunk, you ask? It's "what the past would look like if the future had come along earlier." Think "Wild, Wild West," and you're close. According to Wikipedia, "steampunk is a sub-genre of science fiction involving an era or world where steam power is still widely used—usually the 19th century and often Victorian-era Britain. Works of steampunk often feature anachronistic technology or futuristic innovations as Victorians may have envisioned them. This technology may include such fictional machines as those found in the works of H.G. Wells and Jules Verne...."
The American West of the 19th century is an ideal setting for steampunk tales, and it's a great way for the Western genre to stretch and grow in new and unexpected directions. Hopefully we'll see many more Western steampunk stories in the near future. In the meantime, though, there's no better place to begin than with your very own copy of Steampunk'd. It's available for pre-order today! Here's a link: http://matthewmayo.com/books/anthologies. 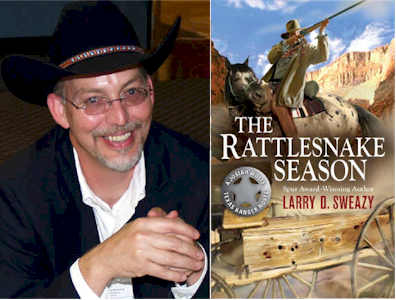 Larry Sweazy’s THE RATTLESNAKE SEASON is a finalist for The 2010 Best Books of Indiana. Here's the link. Sweazy immerses readers in the adventures of Josiah Wolfe, a former Texas Ranger who is lured back to his previous lifestyle after the deaths of his wife and daughters. This carefully crafted and perfectly paced novel hooks readers with Wolfe's dramatic personal conflict: an old friend and comrade is now an outlaw whom Wolfe must bring to justice. Excellent historical details and rich characterization of Wolfe's struggle to fulfill his duty make The Rattlesnake Season an excellent start to a new Western series.